Connect an OBD reader to the car and see what fault codes come up. With Jaguars, it can be a myriad of diferent things causing the same fault. Also, check your battery voltage. The battery needs to be in tip top condition. Try typing "misfire" into the search box. Comes up with loads of stuff. Some may be of use, some may not. At the moment my car is fitted with 225/45 17 tyres. They have covered a very easy 8000 miles. Everytime i pass one of those radar speed signs in villages it shows my speed as 28mph while speedo on car shows 31mph. I realise that those signs are not the most accurate in the world but they are consistent. I was wondering if I could go one size up to a 225/50 or perhaps a 225/55? Any thoughts? That would be the coffee maker. It was an optional extra on S types from 2006 onwards. There is a switch inside the glove box to switch on and off. Was at a car auction near me recently. 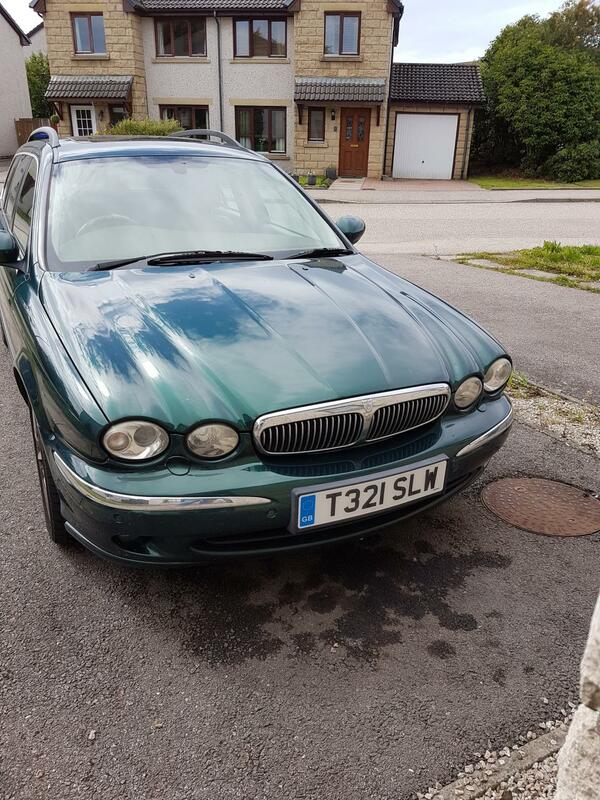 A 2005, emerald green x type saloon 3.0 sports premium awd with a genuine mileage of 46,000 miles did not sell at £350. It was imaculate inside and out and sounded as sweet as a nut. Wouldn't take much more to secure it next time round. A lot of car for small money. I think you need to go to jaguar to pair the actual key to the car using jaguar software. Hope it is not a virus. I wonder if there is a site where you could first download to your laptop or desktop and then once virus scanned put to a usb to go in car. Looks like they sold you a duff one. Might have to splash out and get a genuine update. As it says the software on the memory stick is older than what is currently installed can you not revert back to what you had temporarily? Flap not opening properly may mean the cable release needs adjusting. Is the breather hole blocked which would not allow the air to escape when filling up? 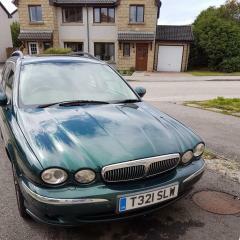 I have Uniroyal Rainsports on my x-type. I find them fantastic in the wet, very good in dry, and very surefooted in snow and ice. Never had a wheelspin at all in recent weather. Hanging onto low gears would normally suggest low oil pressure in the g/box and possibly a low oil level in the box. Took the old girl out for a good run today. Hopefully she forgives me for leaving her by herself for 3 weeks. How embarassing. Car started first turn of the key for AA man. Said the charger had done its job well. Have no idea why it had not started for me. Think the car was sulking for being left idle for 3 weeks. Fickle things these jags. So run the cable out under the bonnet and through a door? Never worked. Flat as a pancake. Apparently its better to plug these solar trickle chargers to the obd plug. Burst or broken hose on air flow meter?